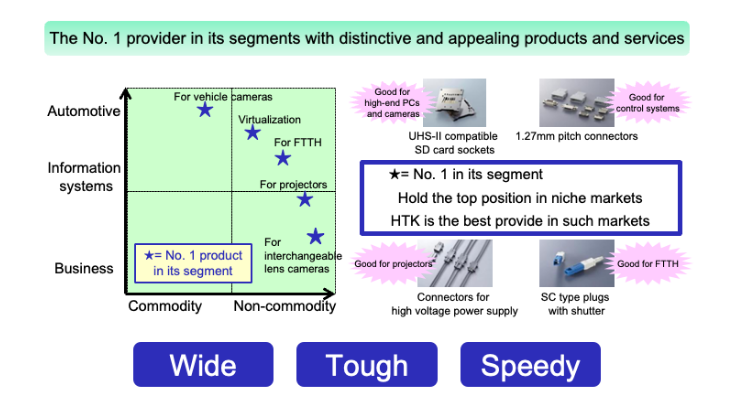 HTK is a Midsize Connector developer and manufacturer. HTK aims for becoming the first provider in some niche Global markets. Based on No1 support in the industry with action policy “Agile, Accurate, Reliable Response” HTK aims to be the “Segments No.1” Provider who has the most competitive service in some niche markets, creating unique interconnect products which our customers want to say that HTK is the best provider for such markets.